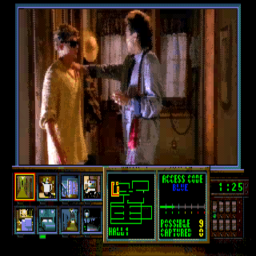 This game would be one of the most best selling games on Sega CD. 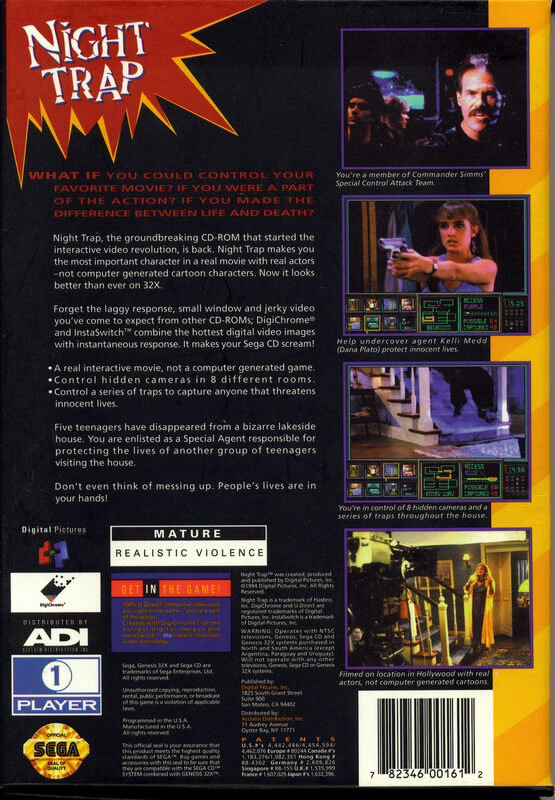 It has real life full motion video, and was one of the first Sega CD games to have a 'M' rating. 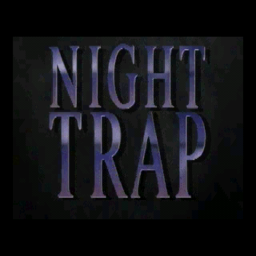 When I had a go on this game, it was very scary. Some people think that this game just sucked, why? because of the switching of rooms. If your in the bedroom, and if you want to switch to another room (e.g bathroom) and then in the bedroom, the robbers come in, by the time you have finished looking in the bathroom, you would look into another room and by the time you have come back to the bedroom looking for the robbers, they would be gone to another room and catch someone. It also should say that when a robber is in a room, the room icon down the bottom should flash and make a sound saying that there is a robber in that room and to catch someone. Now you can add videos, screenshots, or other images (cover scans, disc scans, etc.) 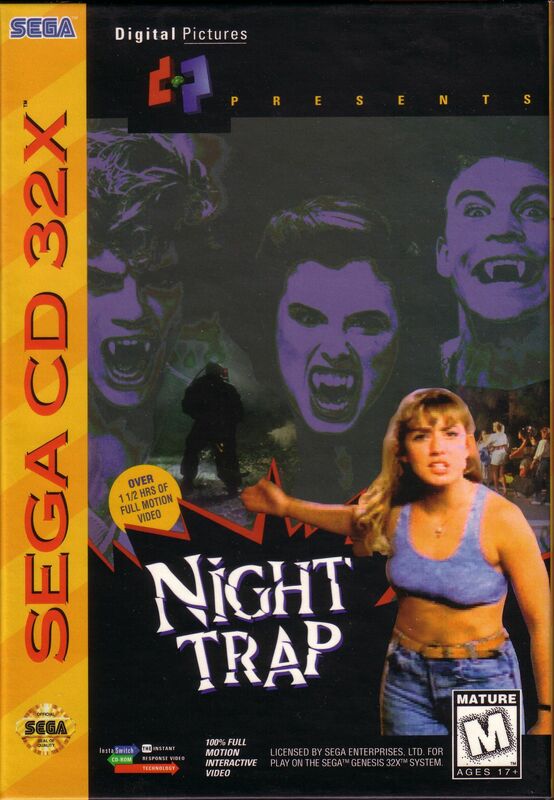 for Night Trap (32X) (U) to Emuparadise. Do it now!